THE Land Rover Discovery must surely be seen by rival marques as a masterclass in how to make a top-quality large 4x4. It combines electronic and engineering off-road wizardry with a level of luxury that few others can match. And as we near the anniversary of the Discovery being named Scottish Car of the Year by the Association of Scottish Motoring Writers and it prepares to relinquish its crown, it’s worth re-examining what makes this car from the British marque so special. Earlier in the year, I had on test the top-end HSE Luxury version, powered by a 3.0-litre diesel engine, and found it to be thoroughly accomplished in every way. For starters, it combines classic sturdy Land Rover features, such as the stepped roof and pronounced C-pillars, with contemporary slimline lights and a smart rear spoiler that give it a more sporty look. Step inside and you’ll be greeted by a wealth of leather and other premium materials that ensure the cabin exudes class. It’s also a wonderfully bright place to spend time thanks in part to the large windows and glass roof that let light flood in. And the word spacious doesn’t really do justice to the amount of room and storage available for those on board. 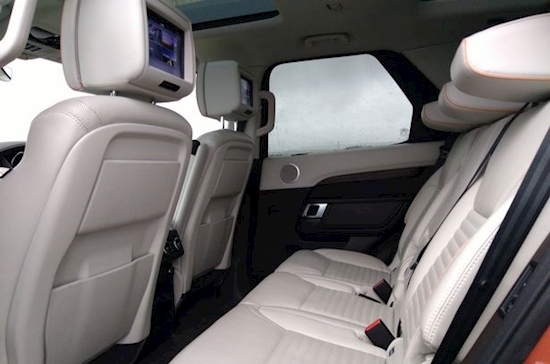 The Discovery can genuinely seat seven adults in comfort across the three rows of powered, heated seats. 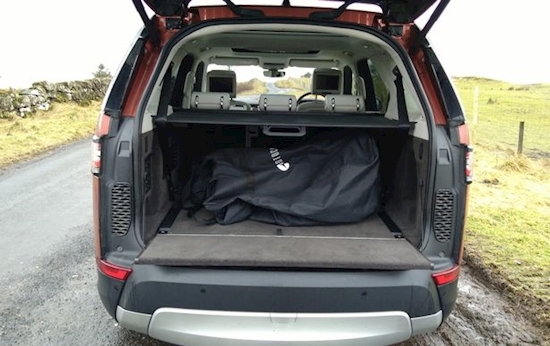 Meanwhile, the boot, accessed via the gesture-controlled powered tailgate, offers a handy 258 litres of cargo space rising to 1137 litres with the third row folded and a massive 2406 litres with the second row down as well. A key feature for the driver and front-seat passenger is the dual-view 10-inch colour touchscreen infotainment system. I found it intuitive to use and you can also easily access a number of other functions through it. 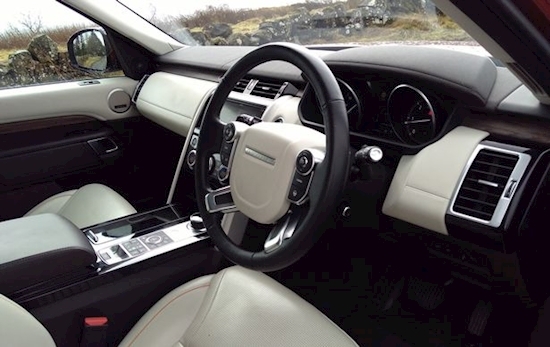 Among the other creature comforts to be enjoyed on the tested car are the electric sunroof, auto lights and wipers, surround camera system, heated multi-function steering wheel and keyless entry and start. Safety and driver aid features are also to the fore in this large family vehicle, with hi-tech systems including emergency brake assist, driver condition monitor, blind spot monitor, lane keep assist and adaptive cruise control with stop and go function. The off-roading technology and engineering is also quite incredible – making the Discovery a truly go-anywhere vehicle. The Terrain Response 2 system can automatically monitor the driving conditions to ensure the vehicle is primed to cope with a variety of surfaces and prompt the driver to adjust the ride height through the electronic air suspension. Alternatively, there are a number of modes that you can select to suit your driving environment, such as grass/gravel/snow, mud and ruts, sand and rock crawl. Meanwhile, the optional All-Terrain Progress Control, part of a £1020 Capability Plus Pack, makes off-roading easier by allowing the driver to set a crawl speed and focus solely on steering. The system also has a launch function to enable a smooth start on tricky surfaces such as snow or wet grass. The car now has a new, wonderfully quiet, 3.0-litre twin turbo engine, producing 306hp, mated to a silky smooth eight-speed automatic transmission driving all four wheels. Land Rover’s extensive use of aluminium architecture and a great stop/start system ensure that, despite the Discovery’s size, it can officially average 36.2mpg while emitting 206g/km of CO2. The overall weight saving of more than 400kg over its predecessor also helps the performance, with 60mph coming up in 7.0 seconds, while the top speed is a healthy 130mph. In real terms, it means you get an instant response when you put your foot down, while the ride is incredibly refined – the independent suspension making light work of horrendous potholes. 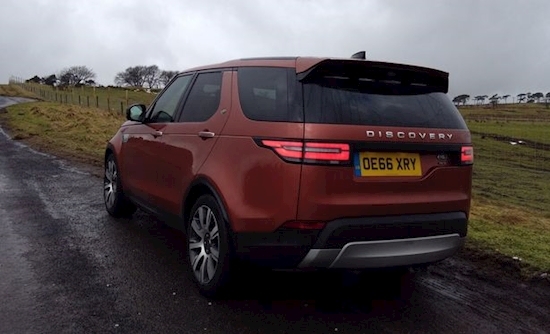 Priced from £70,405, this version of the Discovery is certainly some machine.